Grow your business, marketing your brand on this 12" Beveled Plastic Ruler! 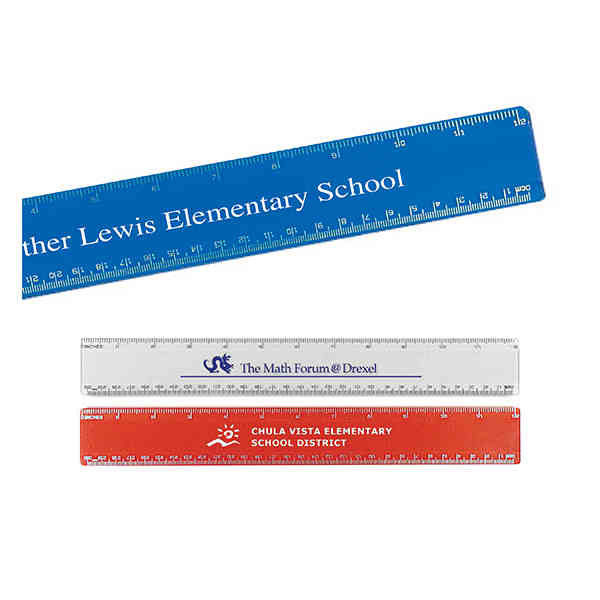 This classic school accessory measures 12 1/4" x 1 5/8" and features doubled beveled edges. Make this a smart business investment by adding on a personal message or your company name or logo for some brand exposure. With a silkscreened imprint, the finished product is perfect as a giveaway at tradeshows and conventions! Size: 12.25 " x 1.625 "